Hi everyone! 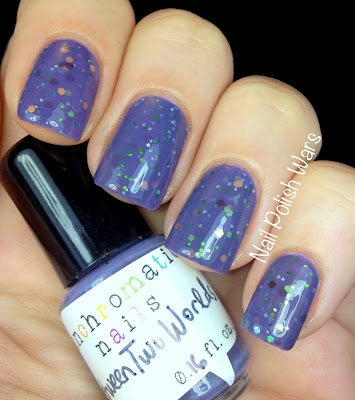 I have some fun polishes from Fanchromatic Nails today! 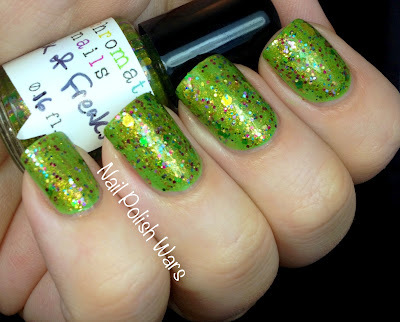 First up is Pack of Freaks, a gold-coppery-green shimmer, with purple holographic, deep red, gold, and blue hex glitter, as well as small gold and large green square glitter. Shown is two coats of Pack of Freaks over Nubar Green Tea. 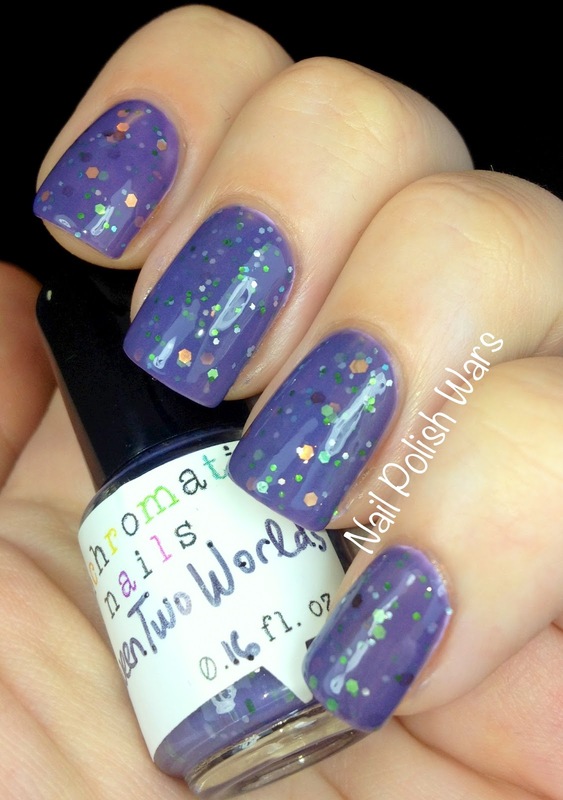 This is actually a really fun polish to wear. It's bright and shimmery, and I love the variety of glitter colors. It went on very easily, and I didn't have to fish for glitters either. Next up is Between Two Worlds, a muted purple with copper, silver, green, and brown multi-sized hex glitters. Shown is three coats over Nubar Lavender. This jelly is much too pale to be worn without underwear, unless you're okay with a VNL. The first two coats were still a little streaky for my taste, so I added a third. To be honest, I was thrilled with it after the first two coats. But, after the third, I fell for it. It's such a murky color. I love it! 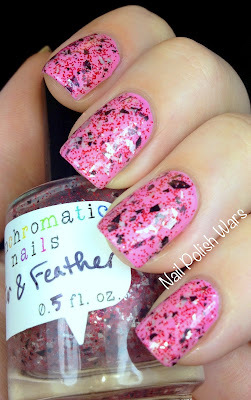 Lastly, here is Tar & Feather, a clear coat with a soft pink shimmer, packed with black and white shreds and red micro glitter. Shown is two coats over Nubar Pink Créme. 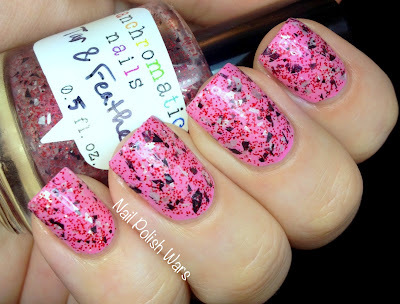 Application was nice and easy for this one, although I could have lived with a little less of the red micro glitter. It was a bit overpowering. I really enjoyed playing with these polishes from Fanchromatic Nails. I hope you like them too! I love Between Two Worlds! Looks like a jelly sandwich, so squishy!!! Very pretty!! I think I'm going to try a coupe of these.